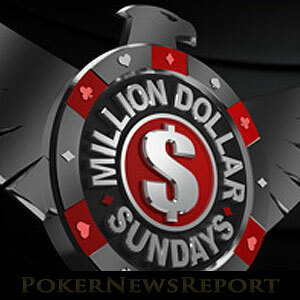 The Winning Poker Network has started running free-to-enter Freebuy events that feed into qualifiers for the network´s forthcoming Million Dollar Sunday. 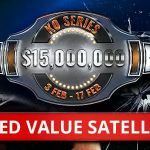 The Winning Poker Network´s $1 million guaranteed Million Dollar Sunday may still be six weeks away, but opportunities are already being offered by the network for players to satellite into the event and the mega-satellites that precede it. Undoubtedly the most popular qualification route is the one that starts at Freebuy level. Freebuys are tournaments that have no entry fee, but during which players can purchase optional re-buys and add-ons to enhance their chips stacks. 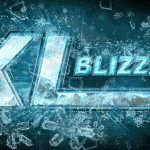 However, due to their popularity, it is incredibly difficult for players to progress beyond Freebuy level. Possibly a better option for players with a modest bankroll is the three-times-daily $6.60 rebuy and add-on qualifiers. These guarantee one seat directly into the Million Dollar Sunday and, to date, have been remarkably undersubscribed. The Million Dollar Sunday is the feature event in the Winning Poker Network´s forthcoming OSS Cub3d series and takes place on Sunday 3rd September. Due to its $540.00 buy-in, the network is hosting an extremely comprehensive satellite schedule that includes three mega-satellites on Friday 1st, Saturday 2nd and Sunday 3rd September, guaranteeing a combined total of 300 seats into the target event. 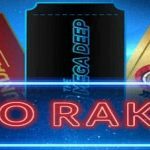 The buy-ins for the mega-satellites themselves ($60.00 and $80.00) are not within the reach of every bankroll, so – from Friday 5th August – the Winning Poker Network is also running sub-satellites into the mega-satellites with buy-ins of $8.80 and $11.00. Players wanting to get the maximum ROI for their investment can qualify for the sub-satellites via the Freebuy tournaments that started this week. The Million Dollar Freebuys run each Friday, Saturday and Sunday at Americas Cardroom and Black Chip Poker; and, as mentioned above, they are free to enter. Players start with 1,500 chips, but can re-buy 3,000 extra chips for $0.50 up until the end of Level 8. 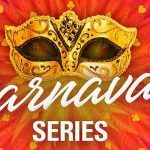 Prior to the start of Level 9, there is also the opportunity to purchase an additional add-on of 10,000 chips for $1.00. Each Freebuy tournament guarantees between three and five seats into the following weekend´s sub-satellites (the ones with the $8.80 and $11.00 buy-ins). The sub-satellites guarantee between five and ten seats into the mega-satellites, which guarantee between fifty and one hundred and fifty seats into the Million Dollar Sunday. It´s a tough route to take, but the rewards could be fantastic! Throughout July and August, sites on the Winning Poker Network will be increasing the volume and frequency of satellites feeding into the Million Dollar Sunday and its respective mega-satellites. However, there is already a three-times-daily satellite taking place that players intending to qualify for the Million Dollar Sunday should take notice of. A $6.60 re-buy and add-on satellite – that guarantees one seat directly into the Million Dollar Sunday event – takes place each day at 1:25pm, 6:00pm and 12:30am (all times ET). Whether it is due to the length of time before the Million Dollar Sunday or the off-peak times of the satellites, they do not appear to be attracting much attention. Games over the weekend attracted between just thirty and forty entries and about the same number of re-buys. Sure there is only one prize up for grabs. Sure you may spend $12.00 or $18.00 and still fail to win your seat. But surely playing against thirty players has more EV attached to it than playing in fields of 1,000+ plus players to win one of three seats into a sub-satellite, that will likely give you a one-in-fifteen chance of qualifying for a mega-satellite, in which you will have a one-in-ten chance of qualifying for the target event. I know which odds I prefer!